I'm a big advocate of natural sleep aids. Having struggled with various nocturnal issues over the years, anything that helps me drift off is more than welcome on my bed side table. Whilst I love the idea of soaking in a lavender oil filled bath, cutting out caffeine after 3pm and winding down properly, it just isn't going to happen so I've grown quite fond of 'quick fix' potions to put me in the right state of mind for nap time. The Seascape Soothe Sleep Oil is the latest addition to my bedside and I'm loving the fact it's packed with essential oils such as lavender, grape seed, bitter orange flower, mandarin peel and sweet almond oil- all natural oils with soothing, calming properties bound to help you catch a few Zs. The sleep oil is packaged in a small glass tube with a roller ball designed for easy application to your temples and wrists. It's even safe to apply underneath your nose! The scent of the sleep oil is strong, but in a good way, with a warm, earthy sort of scent that's nothing short of comforting. The Seascape Soothe Sleep Oil isn't just for sleepy time- keep it in your handbag for a calming aromatherapy fix anytime of day! It's also worth mentioning that the oil is free from various nasties such as parabens, petroleum and SLS and it's perfectly safe for sleepless mumma's-to-be. 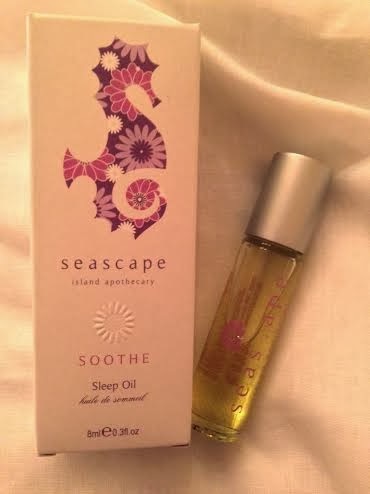 The Seascape Soothe Sleep Oil is £10 for 8ml and is available at Seascape. I'm doing a giveaway on my blog if you want to check it out :) I'm now following you! I'm exactly the same... 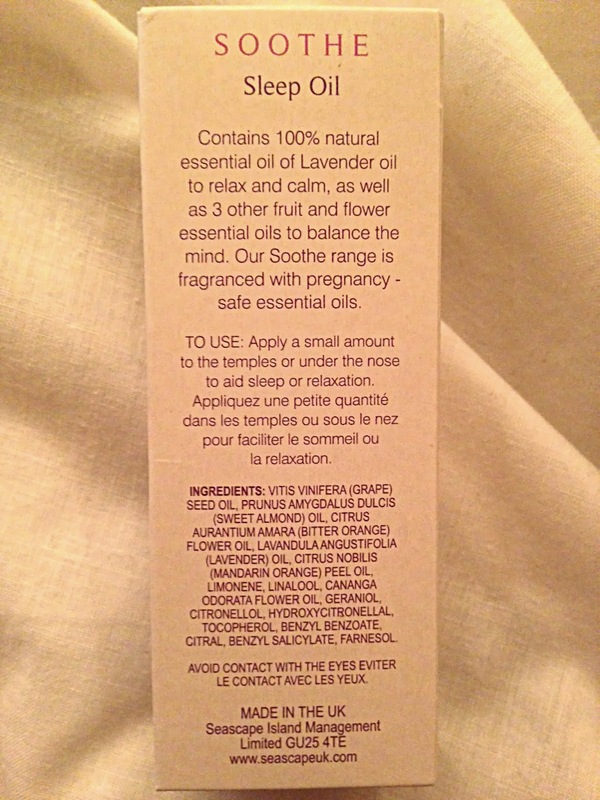 I use ESPA Soothing body oil to help me drift off to a peaceful sleep- works a treat.